This news item is the first regular update that we’ll be providing to give more of an insight into the ongoing fight against botting and other general nastiness that occurs in New Eden. Firstly, a few raw numbers! 896 bans related to account hijacking. 511 bans related to macro use and botting. 253 bans relating to ISK selling. In addition to bans issued this month, we’ll also be increasing the level of account restriction that those who’ve been reprimanded for botting in the past will face going forward. Currently, accounts that have served temporary bans in the past are locked out from character transfers. While they can receive characters, they are not permitted to send characters to another account to prevent evasion of further reprimand. With the March release we’ll be extending restrictions so that these accounts will also be unable to extract skillpoints. This further reduces the ability of those who’ve previously breached our rules to be able to avoid further reprimand. This change comes off the back of discussion with the community and was suggested by pilots as a possibility for toughening the stance on those who chose to break our rules on input automation. Whenever this clause is brought up, it’s obvious it carries with it a couple of misconceptions that we probably haven’t worked hard to adjust. Some argue that we set this rule to hide what happens between us and players, which is not possible and is absolutely not our goal. The actual reason the rule was originally set was to protect our staff from out of context posting and partial reposting intended to foster misinformation without us jumping in and clarifying. The thinking was (and to some degree still is) that this would put our staff in a position where unless they responded to every such post, it could be expected to represent proper context. In that sense it was always meant to improve discussion, not censor it. This clause also covers some pretty fair expectations regarding other forms of communication than ticket responses. Our staff converse with players through E mail, private messages on social media and on Discord about all manner of things and in that context the rule is in line with common courtesy. Another misconception is that we´ll ban people for posting ticket replies which is not accurate. Over 15 years we’ve very rarely banned players for violating this clause (single digit number) and it’s always been on the back of a stack of previous warnings or over a wilful attempt to falsify or misconstrue communication for nefarious purposes. Whether we need to clarify the wording of the TOS or whether having a conversation about what it means like we’re doing now is enough, is something we’ll consider. For now, the best way is to ask whether you can share the communication if you feel you need to and be fair about how you treat one-on-one communication. 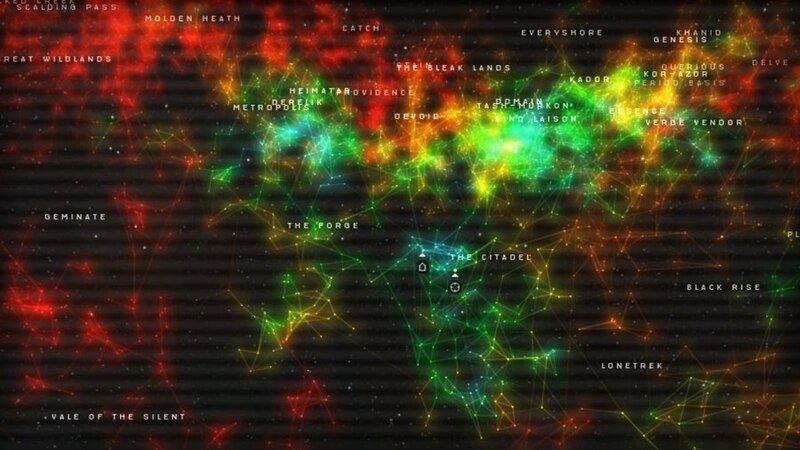 We’re currently working on a few tools and processes internally that will bring further hell down on those who choose to bot in EVE Online. At this stage, we’re a little too early in the process to talk about any specifics, but be sure to keep checking back in these regular updates for more information. If you'd like to discuss this dev blog, feel free to do so in the comments thread on the EVE Online Forums here! I will immediately grab your rss feed as I can not find your e-mail subscription link or e-newsletter service. Do you have any? Kindly let me recognize so that I may subscribe. Thanks. I just recently started a blog site, and I was simply asking yourself how people have advertised their blogs online to get more fans so you aren’t just keying to absolutely nothing out in the net?. Oh, and also for my blog, I don’t truly desire my pals to be my fans, unless they discover it by themselves. My blog site is about something that a lot of my pal’s can not actually aid me with. (Photography is the main topic). I obtained two networked blog setting of a single blog in facebook. I intend to remove of them. Exists any type of means to delete only one networked blog maintaining the an additional as it is?. you’re actually a just right webmaster. The web site loading speed is incredible. It kind of feels that you are doing any distinctive trick. Also, The contents are masterpiece. you have performed a magnificent process on this subject! I am brand-new to blog site memberships as well as I am seeking an easy reader that is nice as well as organized that allows me view my blog sites from my homepage or has a little scrollbox that is constantly up on the side of the computer system screen. I began to utilize bloglines but it is truly unorganized with all the blog site names aligned on the side. Many thanks a great deal!. My wife and i ended up being now lucky Edward managed to deal with his investigations through the precious recommendations he came across when using the web pages. It’s not at all simplistic to simply happen to be giving out thoughts which usually many people might have been trying to sell. And we all fully grasp we now have the blog owner to thank for this. All of the illustrations you have made, the simple site navigation, the relationships your site make it possible to create – it is many amazing, and it’s really helping our son and our family feel that this content is excellent, which is certainly extraordinarily vital. Thanks for the whole thing! hey there and thank you for your information – I’ve certainly picked up something new from right here. I did however expertise several technical issues using this website, as I experienced to reload the web site many times previous to I could get it to load properly. I had been wondering if your web hosting is OK? Not that I’m complaining, but sluggish loading instances times will sometimes affect your placement in google and could damage your high quality score if advertising and marketing with Adwords. Well I am adding this RSS to my email and could look out for much more of your respective fascinating content. Make sure you update this again soon.. Thank you a bunch for sharing this with all people you really recognize what you’re speaking approximately! Bookmarked. Please also consult with my website =). We can have a link exchange agreement between us! I truly wanted to develop a small word to appreciate you for those remarkable guides you are giving at this site. My extended internet research has finally been paid with awesome knowledge to talk about with my best friends. I would admit that many of us site visitors are very much blessed to be in a fine site with very many marvellous professionals with insightful points. I feel very privileged to have discovered the webpages and look forward to really more enjoyable times reading here. Thank you again for a lot of things. I’m still learning from you, while I’m trying to reach my goals. I definitely enjoy reading all that is written on your website.Keep the stories coming. I loved it! You really make it seem so easy with your presentation but I in finding this matter to be actually something which I think I’d by no means understand. It kind of feels too complicated and very vast for me. I’m having a look forward on your subsequent submit, I will try to get the hold of it! I have to convey my appreciation for your generosity supporting persons that really want guidance on your question. Your personal commitment to passing the message all through turned out to be amazingly invaluable and has truly helped guys and women much like me to attain their desired goals. Your own useful guide means a whole lot a person like me and somewhat more to my colleagues. Thanks a lot; from everyone of us. I have to show some thanks to the writer just for bailing me out of such a instance. Right after surfing around throughout the world-wide-web and obtaining concepts that were not powerful, I assumed my entire life was gone. Existing devoid of the approaches to the problems you have fixed by means of this short article is a critical case, and the ones that would have badly damaged my career if I had not come across the website. Your actual know-how and kindness in handling every item was invaluable. I don’t know what I would’ve done if I hadn’t encountered such a solution like this. I can also now look ahead to my future. Thank you so much for this high quality and results-oriented help. I will not think twice to refer your site to anyone who requires guidelines about this issue.